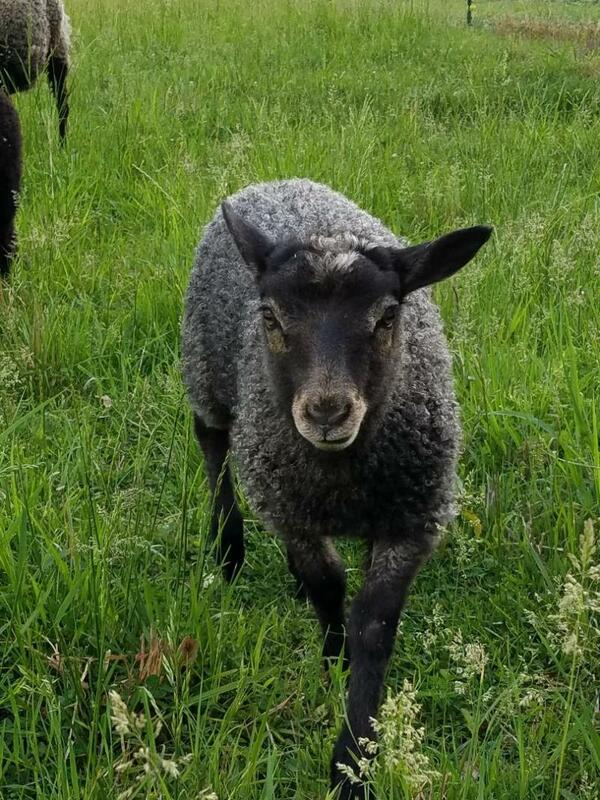 Olive Egger "Dark Green Egg Layer"
The summer of 2017 we became the proud owners of the first flock of Gotland sheep in Illinois. We're members of the Gotland Sheep Breeders Association Of North America and our goal is to improve this rare breed of sheep and share them with other small hobby farms. Gotland sheep are a multipurpose breed. Their long curly fiber is excellent for spinning and a favorite for wool felting. Goltand pelts are prized world wide. Gotland meat is mild, sweet and close grained. Gotland ewes often have twins, triplets and occasional quads are common with high percentage Gotlands. It's difficult to get a good photo of a Gotland sheep because of their friendly disposition, the moment you squat down to take the photo here they come as fast as they can just incase you might want to give them some love. We've had a blast learning all about sheep, our first lambing season was so fun and exciting! We're coming up quickly to our second lambing season, we're expecting lambs in April. If your interested in purchasing Goltand lambs, go to the contact us page and drop me an email, we'll contact you when we know what lambs are available in the spring. 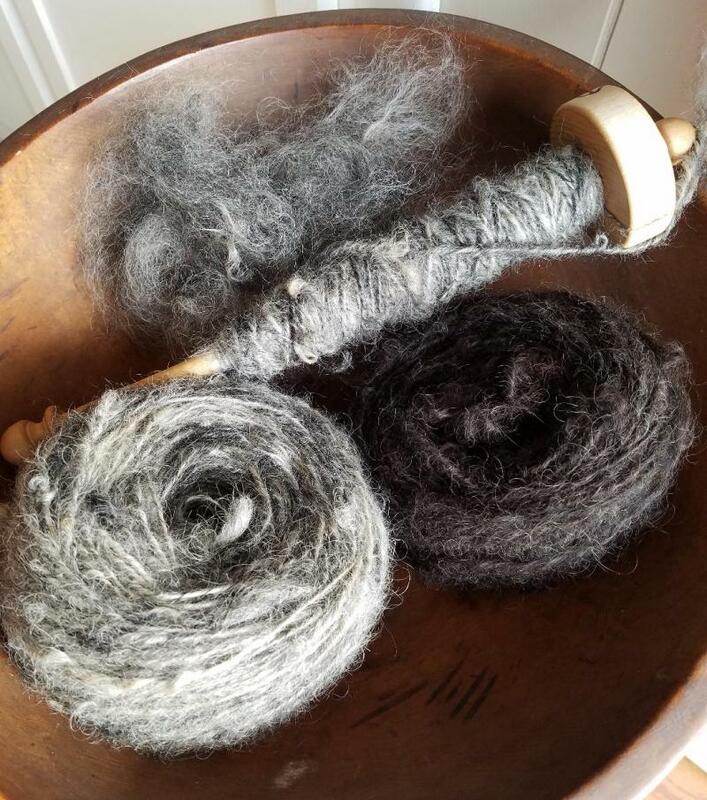 I've taught myself to use a drop spindle and have recently purchased my first spinning wheel. Todays Gotland sheep fleece is long, fine, lustrous, dense and has a defined even curl, it can range in color from shades of gery, silver, charcoal grey and even black. 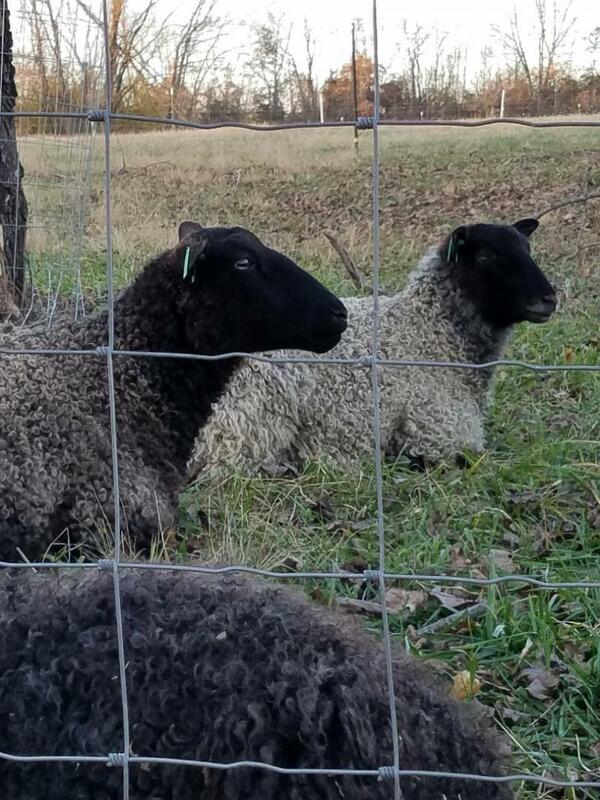 Lambs are usually born black and as they mature will begin to turn silver. Gotland sheep also change colors depending on the seasons of the year. 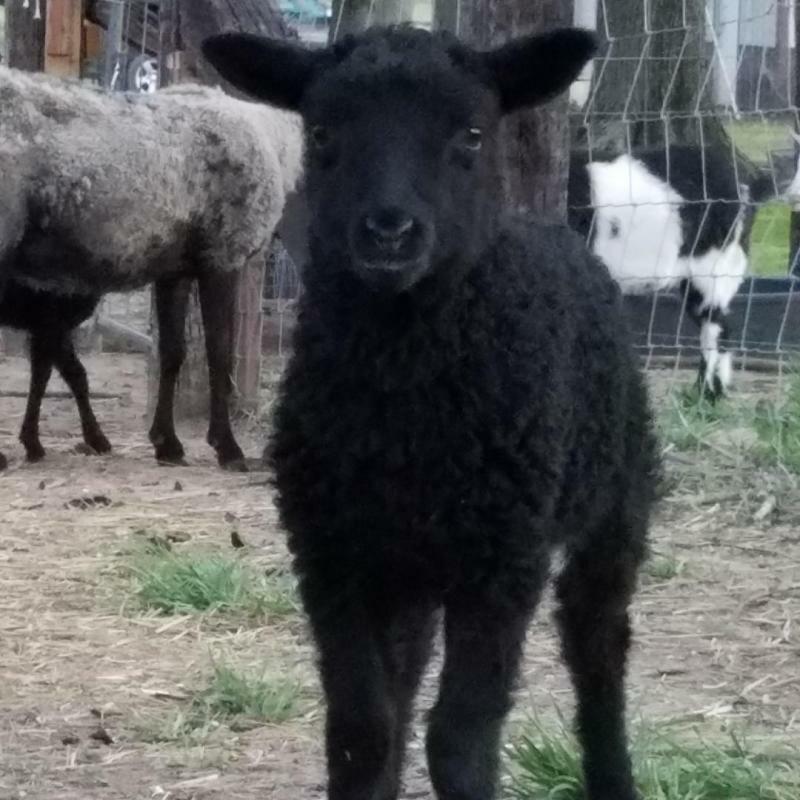 The ewe in this photo came to us as a 1 year old, completely black in color and in the spring when we sheared her she was completely silver. This was her first lambing and she blessed us with the cutest twins. Why did I choose the Gotland Sheep breed? After a year of study I kept coming back to this breed and I'm so glad that I did. They have a wonder friendly disposition, they're bright and inquisitive. They're great mothers, with high lambing rates. They're hardy and super adaptable. Gotland sheep are a small breed which makes them easy to handle for 4H kids or great for a hobby farm, they're also naturally short tailed and naturally polled. I can't express how sweet they are. Your welcome to come and see them for yourself, I promise you'll fall in love with Gotland Sheep! Sheep are very sustainable livestock for your homestead. We have whole raw fleeces for sale now. Contact me if your interested in colors. In the future we hope to have, yarn, roving and curls. We will also have breeding stock and grass fed lambs. Copyright 2019 Chicken Scratch Poultry. All rights reserved.